Very soon, it will be time for what promises to be another great exhibit at New York's Fashion Institute of Technology. If you haven't heard, the Shoe Obsession exhibit will be opening on February 8, 2013, and will continue until April 13, 2013. Shoe obsessed or not, the sculptural masterpieces offered in the press release are enough to make you swoon. Featuring nearly 150 examples of footwear, crafted by company names you know and avant garde names you likely have yet to explore, the exhibit will be accompanied by a book. The book, also titled Shoe Obsession, is full of photographs for you to keep in your personal inspiration/dream corner. All royalties from sales of the book will benefit the school. Admission to the museum is free and open to the public Tuesday-Friday, noon-8pm, and Saturday 10am-5pm. Can't get there? No worries, you can always come a bit later for another exciting event - the Boots exhibit March 5- April 26, 2013! So, let's say you see the exhibit, get all excited and curious about making your own shoes? You can enroll in a shoemaking course at the Manhattan JCC, where they do some AMAZING stuff. Follow this link to read all about it. Or maybe you're a designer, or an aspiring shoe designer, with some pretty exciting ideas of your own, but lack the tools and skills to bring them to life. If your pockets are sufficiently deep, you can have shoes custom made for you, by a brilliant custom shoemaker located just around the corner from FIT, who can literally do just about anything! But let's get real, who has the closet space for all of those "ideas" anyway? What I do have, is a real penchant for home dec, and I imagine a wonderful oversized hat lampshade, that I might get to create one of these days... Think crazy lampshade stories about some crazy lady from long ago who had a few too many at a party... and only the hat lingered, immortalized as a lampshade to tell the tale... Even all these years later, we just giggle and heave a deep sigh at the memory. Inspiration - Do you see the lampshade in this picture? So literal, but I love it! Also from "Masquerade and Carnival". In the meantime, I'll just do the fun, sculptural hat stuff for myself and the occasional client. Last week, I wandered into Hatcessory, and found exactly what I was looking for, but until now, didn't know where to find. This place is not intimidating, just very full and colorful, with staff who are polite while gently offering to help you. 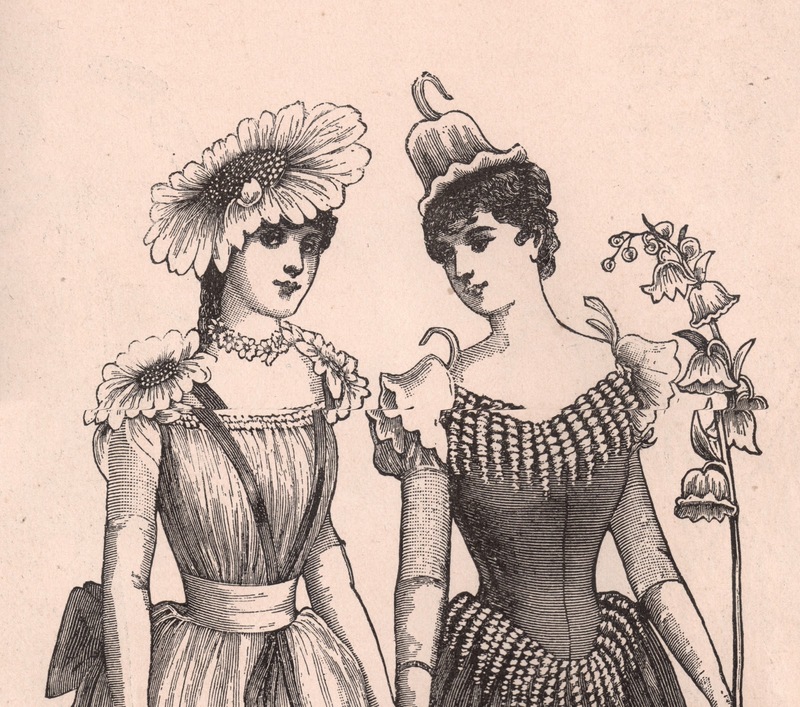 Many years ago, at least a decade or more, one of the wonderful supplies I used to sometimes buy near the garment district, was one of the many plain, stiffened, unadorned hat shapes, to which I could apply all sorts of fabulousness. In my life, these served me well when making costumes. This amazing millinery shortcut made my experiments inexpensive and fun, and I just adored the stores that carry many classic and exciting shapes. Hatcessory has lots of churchy and Broadway hat shapes, lots of ready to wear hats, and lots of adornments to add your own "hattitude"! Sparkly things, flowery things, feathery things, jewel-like things, buckles, clips, and more. A Google image search for inspiration hats reveals a seemingly endless array of lovely sculptural, things to try. Millinery can be very serious business, and, for the serious milliner, there are specialty supplies you can buy, assuming you know what they are called, how to use them, and how much of the hat making process you want to take on. However, for those of us who want to play inexpensively, like me, to create fun conversation and artsy costume-like pieces, Hatccesory is a great place to start. Here we are in a new year. I am generally not one for stating resolutions, but this past year inspired me to reevaluate some blog-related things over the holidays. As I review 2012, it seems that 2013 requires a new approach - or, rather, just the application of a new lesson - like a blogger class from which I've graduated, and am ready to step things up a bit. Having a blog can, at times, make one (me, in this case) feel awfully self-important. The naivete of strolling into stores for which I am not the target market, just to add my two cents, doesn't always fit the idea of making sure this blog is mutually beneficial to business owners and patrons. This blog is pushing me to recognize and explore the idea that I may not always understand what services or products are being offered at the businesses I visit (especially the new ones), and I probably need to ask more some questions to find out how they fit within the marketplace. So many of the discoveries I have shared with you over the past few months have been made because I started asking questions, and trying things out. I'm committed to that purpose, and will keep sharing what I find with you. In that spirit, I'll review some "What I thought" and "What I learned" statements, so you can see what I mean. BOTANI - Expensive Italian zippers with a fancy name, sold in a fancy- looking store? Nope. Star Snaps - Why would I pay someone else to put snaps on for me? Because you can do so much better that what you find hanging on the notions racks in the stores. 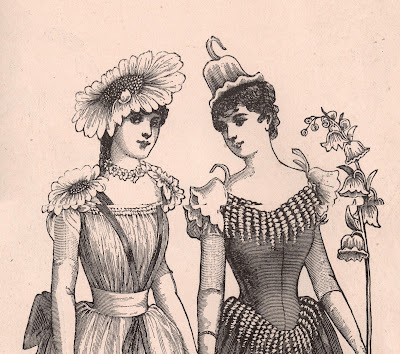 Jonathan Embroidery - You mean, someone else will put my buttonholes in for me? Sounds like too much explaining. Can I trust them? Better than you can trust yourself, apparently. B&T Button - You mean someone else will make covered buttons for me? How long do I have to wait? Significantly less time than doing yourself. Guaranteed. 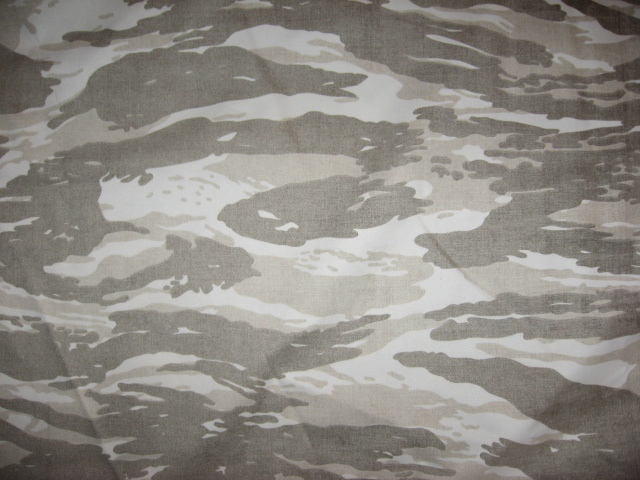 Guide Fabrics - You mean, even I can buy 25 yards of muslin at wholesale prices? Manhattan Wardrobe Supply - Where do I find all those tapes and bust support products that claim to be so magical? Better question... what CAN'T you find at Manhattan Wardrobe? Elliott Berman Textiles - Where can I find the designer fabrics the big-name designers actually use? I mean, the really beautiful stuff... Just look at the post. Unbelievable selection. Paron Fabrics - And, can I find the leftover fabrics many designers actually used? At great prices, too! So, moving forward, I will be doing my best to consider which stores are worth your while, based on what you need/want, while also offering vendors who would benefit from the exposure. Onward and upward! Winter in New York City has cast quite a cool spell on us all today, gently nudging us to grab a blankie and a cup of hot chocolate, while we dream of Spring. Today is a particularly busy day in the garment district, with both the Texworld show and FIT City Sourcing events taking place. For any established, aspiring, and small designers among you, the opportunities to learn and greet today are virtually endless. For the curious creatives among you, passionately sewing things for yourselves, your families, and your clients/friends, there are secret doors to be opened, and this ever-changing wonderland of fabrics, notions, and supplies awaits you. For anyone at any level of sewing and design, come along on a "Speakeasy" tour, shopping, brainstorming, and hanging out with people who share your passion! On a cold and beautiful day last week, I led a sewing and designing friend/colleague through the garment district, showing her some great resources for her business as she builds her line. Let me tell you, as much as I promised myself that not a CENT would leave my pocket as I led her through stacks and rows and piles of fabulousness, there I was, yet again... lured in my the fabulousness I found. While I can't won't tell you exactly where we went, since that is what "Speakeasy tours" are for, I can tell you that it was fabulous and productive! One of the stops we made, was Metro Textiles... at the most serendipitous moment ever. He just got in a HUGE quantity of fabric... and I do mean HUGE. The variety is fascinating, and, dare I say overwhelming even, but the prices are a dream, and I just couldn't help myself... Yes... just a few new fabrics have joined me here in my workspace. No worries, though... I know what they will be already... umm... eventually... so I "just" have to fire up the machine and get them done. So yeah.. this time it's green! You've seen it before - but not this way! 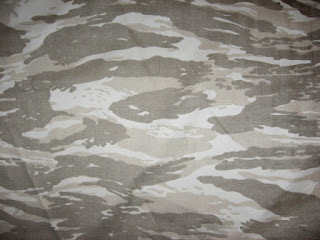 A weathered camo that calls out to be embellished with something ragged and pink. Trust me. Seriously, Kashi at Metro is going to drown in beautiful fabric if we don't rescue him soon. Go visit, and I dare you to leave empty-handed... and not even at HIS suggestion. Your own heart will focus in on something, and it will cling to you! (Not in a "static -y" way, of course. That would be unpleasant.) It can't be helped! NYC Notions/Fabric/Unique Service store: Botani Trimmings Inc. Ever feel like you're missing something? I certainly felt like I was, when I heard the occasional chatter about Lampo zippers. Quite pricey by comparison to your standard YKK and other garment district offerings, I believed that their appeal was that they are fancier, indulgent, and sleek-looking, almost like jewelry on a bag or garment, which explains the higher prices (be prepared to spend at least $13 or more for one, depending on the type). But... no. I was wrong. That's mot really it. And now I get it. And realizing that now, there are garments I made in the past that I wish I could reach back to retrieve and improve with these fabulous zippers. How did I come to this revelation? On a whim, I walked into Botani Trimmings, Inc, which I never pass on my usual routes in the garment district, and asked the question I had been sorta embarrassed to ask. I mean, when someone says "Chanel" to you, you normally just shut up, assuming it is out of your league, right? Note: Visit the site to see better pictures of the place and products than I am capable of. The lovely salesperson who greeted me, enthusiastically ushered me over to a wall of zippers, inviting me to test and experience the smooth flow of the zippers, check the teeth, appreciate the weight and durability of the tape. Yes, it is obvious. These are quality zippers. The pull is definitely there to stay. The open end, closed end, and double slider zips and vast variety of tape colors can certainly satisfy your quality zipper needs. While standing there in the store, my mind jumped to a client for whom I made a 60's style Steve McQueen-like racing jacket. He wanted his original duplicated, which had been made in Italy, and was now just impossible to find. One of the first things my client mentioned, was that the right zipper was key to the project. I found a quality zipper, which he vetoed, so we used the one from his original jacket... but THESE zippers... oh THESE zippers, were clearly what he meant, had I known. Original racing jacket, well-worn, but perfect. Duplicate I made with modern materials. So, who uses Lampo Zippers? Referred to as the "Ferrari" of zippers, Lampo has been used by designers like Balenciaga, Chanel, Prada, and more. High-end designer bags often use Lampo zippers. Check the pull, and you may find the engraved "Lampo" name. When would it make sense to use a Lampo zipper? When you expect the item to last a long time, and you don't want to ever replace the zipper. When it needs to be durable, and of quality. When you want the quality of the zipper to match the quality of the materials used to make the item. When you want to replace the zipper in an item that used this type/quality of zipper. The company clearly has a long, rich history. Enough so that you feel like you've attended a lecture after visiting their website. An odd little Fellini-esque video can be found on the Italian site, too, with some Italian poetry included... but really, you don't need a Rosetta Stone course to appreciate it. Since their expansion, in addition to their fashion hardware (aptly named) selection, Botani has a leather department, and will now, not only provide the supplies, or even perform the repair on handbags, but they will actually create a custom handbag based on your design. I can feel a collective push from you readers as you scream "Get outta here! ", but no, I'm serious! The particularly elegant layout may feel a bit intimidating to the uninitiated, but you can totally go in and ask any silly question you want, and get treated with complete respect. Happy 2013, Readers! My quiet over the past bit has not been due to rest or holiday fever as much as it has been about trying to find the time to write well about the exciting connections and people I've met over the past weeks. I have lots to share, so stay tuned or follow me for a new string of posts! The NYC garment district is truly a magical place. The streets are full of hustle-bustle, secrets, mysteries, and quiet experts who are simply engaged in their work, making connections, and reaching for the phone when/if it rings. If you've been here before, you might not know that tucked into so many buildings in the neighborhood, there is a sprawling collection of diverse workshops, tools, notions, and materials, that you will never find on your own, unless you truly start to research and inquire. Or, you can just let me do that for you, and continue to introduce you to the gems I find. And yes, I have found another one. The business I am about to introduce, while new to me, is not new to the industry. Every once in a while, it feels like an illuminated garment district path suddenly just stretches out before me, I feel compelled to follow it, and find myself truly just amazed and energized by what I discover. Last week, I held a firm, little business card in my pocket, that simply read "Buttonology Inc.", with all of the relevant contact details for the business it represented. Why was I holding on to it? Why did I feel inspired to explore this business? Mind you, I did not procure the card from one of the "Buttonologists" employed there, but randomly picked it up from a quiet shelf while visiting another business in the garment district. On Wednesday, I called the company after visiting the website, and spoke to Teddy Haft, (an overwhelmingly warm and open personality) who, after explaining what makes their business special, welcomed me to come in and visit. On Friday, I did. After entering the serious, professional building on 40th Street, and stepping into the sterile hallway of the 4th floor, I opened the door to Buttonology Inc., revealing a quiet conference/meeting table and adjoining office space, and shelves and shelves and shelves of neatly organized, beautiful buttons. Then, in a sudden tidal wave of kindness and enthusiasm, I was greeted by three wonderful men, (Teddy, Richard Levy, Marc Glassberg) with whom I easily fell into a long, delightful, fascinating and passionate conversation about their business, the industry, buttons, and life in general. These three are obviously close and comfortable working partners, with a quick, theatrical banter between them worthy of their own TV show. It felt like I had made three new old friends in just a click of an instant. As with so many of the conversations I've had with industry veterans in the recent past, so many stories include a story of an uncle, a grandfather, a grandmother finding work or starting a business in the garment district. Stories of family love and pride abound, and sprinkle everything with a dose of resilience, tenacity, creativity, and deep meaning. Teddy (to his grandson): "Why do I love you so much?" Grandson: "Because you're a part of me." For those who can "feel" this, I need not offer any additional explanation for why it touched me so, but, for those who don't, think of the level of understanding a child must have to express that he is not just offspring. He holds actual PIECES of the people who came before him. That is what the garment district represents for so many people. And for so many families. Isn't that what it's all about... in a nutshell? Okay, so what makes this business special? We all know buttons. Not these buttons, and not this company. You may feel that buttons are "a dime a dozen". Or quite close, literally. And that is all some folks want to pay. There are big name designers outsourcing production to extremely low-wage workers in factories elsewhere, who put the least expensive, plastic buttons they can negotiate wholesale on their garments... And we have all learned that you generally get what you pay for, don't you? These are interesting economic times in clothing production. What if we started to look at the buttons available for sale and think... Where were these made? What are they made of? Can I get them locally? Consistently? quickly? Can I get wholesale pricing on just a gross of buttons? Can I buy samples? Who can help me? Who can help the small designer? The costumer? The dressmaker? The fanatical home sewist? Are they approachable, affordable, and will they work with me? All of those questions have an answer. Buttonology. They do covered buttons, custom buttons, monogrammed or logo buttons, too! They use wonderful materials like coconut, wood and shell. The buttons they offer are mostly European made, and I did also see that they can also customize already made buttons to a client's specifications right there in the office. Just check out their website, and go visit in person. You won't regret it. P.S. - Designers, make sure you visit them at DG Expo in February, and we would love to see them at the FIT City Source show (note: When you click the link, you have to click the "City Source" tab to see that it is happening on January 15, 2013... yes, next week! ), wouldn't you? P.P.S - And if you need ideas for how to use and quality buttons, I DARE you to Google image search button shoes, button accessories, button lampshades, button home dec, button hats, button hair jewelry... need I continue? The options are endless.